On paper, I should never have signed up for a triathlon – at least until I had done some serious swimming training and confirmed I’ll be able to swim the minimum required distances anyway. Which is irrefutable proof (in case you ever need it) that paper is stupid. My confidence in my breast stroke abilities had buoyed me through the initial sign-up because I figured that freestyle couldn’t be too far removed from that wonderful frog-like gracefulness I actually enjoy. Note to readers: freestyle and breast stroke are as different as boys and girls: one is smelly and annoying; the other is sweet and fun. Why has no-one invented a triathlon where you must breast stroke the swim section? I day-dream about triathlons where over-zealous fellow competitors are disqualified by course marshals for breaking out in freestyle, as I sail serenely past like Billy the frog. Billy lives in our backyard with his family. He does not care for freestyle. When I first got home from The Great Pool Panic to Google the problems I was having, my searching was still focused on triathlons and the results I got back were full of people complaining that they had panicked in open water that was dark and murky, getting caught in horrid seaweed and freezing cold. Their panicking was fully justified! Unlike mine. Most of these people were devastated that they’d ‘only managed 500m’ or some such rubbish. I can’t even begin to fathom how I am going to be able to put my face into water I can’t see through, with crap floating all in it. What the heck have I signed up for? Exhalation. Most swimmers unwittingly hold some of their breath in their lungs the whole time when swimming – they don’t exhale fully because they are so tense. I am spending the first 5 minutes of each pool session just exhaling, letting myself sink to the bottom of the pool and trying to feel relaxed about that. I have a special float (thanks to the lost property box at the pool and my friend Jen who borrowed it for me) that I hold between my knees to keep my legs afloat, so that I don’t have to worry about my kick and can just focus on my arms and breathing. Pulling yourself along by your arms is a really weird feeling when you’ve never done it before and it is taking longer to get used to than I thought. Going slow. It probably seems laughable but the small amount of swimming that I do before inhaling and choking on the chlorine-urine-sweat mixture in the pool is a bit too fast. I have only one speed for freestyle and it is unsustainable over long distances, so even if I can get my stroke right and my breathing on track, I am going to wear myself out after 20 metres and drown from pure exhaustion instead. I think this is probably related to my inability to relax because I feel like I am desperate to get to the other end and grab the side of the pool, so again I have to learn to be calm and zen-like. Mostly I am taking it easy on myself because it is pointless getting annoyed. I remind myself of this regularly, when I yell out ‘STOP DROWNING YOU STUPID PEANUT BRAIN’ and end up just swallowing more water. Yep, definitely pointless. So far I have managed one whole length of the pool doing freestyle in each of the last two pool sessions I’ve had. I’m swimming twice a week. I need to be able to do 6 lengths non-stop by February for my mini Triathlon. And if I have any hope of doing a proper triathlon, I need to be able to do 30 lengths non-stop. That’s right, thirty. Never mind the fact that all of those lengths will be in the open water with sharks and jellyfish etc! Being able to do a distance like that seems so far out of reach. As Shane suggested (and since then, many others have reiterated the idea) swimming lessons will eventually be on the cards. But at this point, I can’t see any use in going to a swimming lesson to be told to relax and try and exhale all the air in my lungs when I breathe out. I know I have to do that now. I’m working on it. Plus, I hate being told what to do. So I will put the lessons off for a while longer, until I can’t get any further by myself. Stay tuned and comment below! 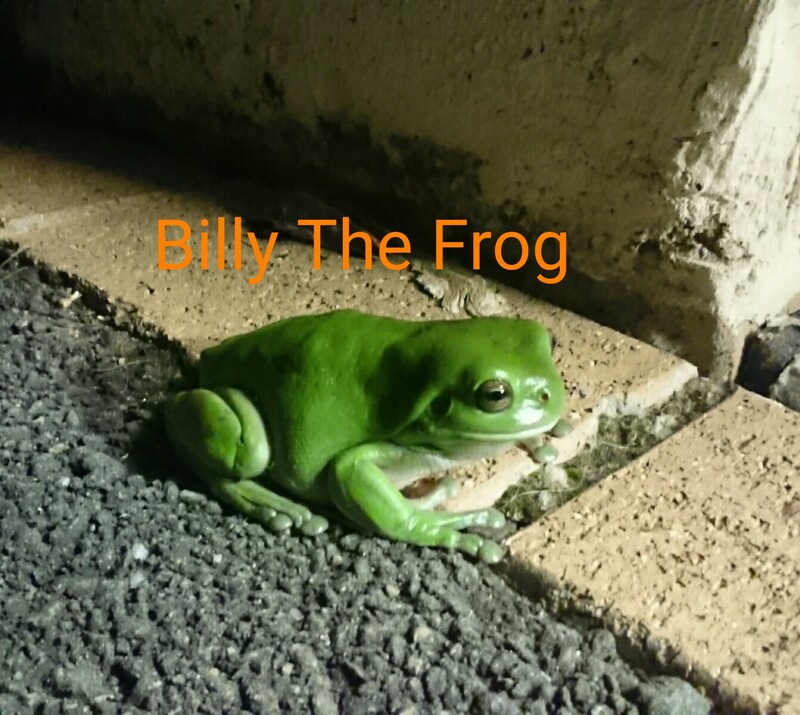 This entry was posted in Show Me Shopping, Show Me Swim and tagged billy the frog, bribie, swimming, training, triathlon. Bookmark the permalink.